To keep this series about architectural photography going, let’s talk a little about gear 🙂 Having the right gear can help you best more productive, faster and overall give a better service to your clients. However, don’t forget that it doesn’t replace skill and it won’t make you a better photographer. This is a pretty extensive gear guide for commercial architecture. Don’t worry if you’re starting out or if you don’t have a lot of gear. You don’t need all of this at all. And you can rent a lot of it for specific photoshoots. I started with a crop-sensor camera and no tilt-shift lenses and still sold my images to clients. This is meant to help you know what gear to look for and how to make your life easier on photoshoots. To see all the gear and start building your kit, visit B&H online. Of course, any camera will do. I think a full-frame camera with good resolution is ideal, like the Sony a7RIII, the Nikon D850 or the Canon 5D Mark IV. Of course, the brand ecosystem matters, so look at the lenses and other gear below to see what is most compatible. I personally shoot with Sony because I like their mirrorless range of cameras. What’s important is to have a backup camera with you on shoots. It doesn’t need to be quite as good as your first camera, but if anything goes wrong, you need to be able to keep shooting. Get an older version of your main camera, used or refurbished to save on money. In terms of lenses, what you need is tilt-shift lenses. In my experience, the Canon lineup is the best option out there. Nikon has some great options too, but that’s about it. 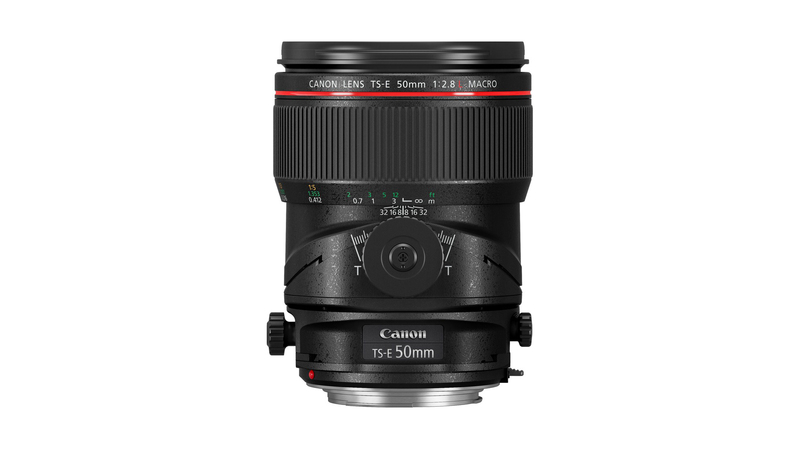 My main lens, as for most architectural photographer, is the Canon TS-E 24mm f/3.5L II. It’s the lens I use for most of my images. For wider images, the Canon TS-E 17mm f/4L is a must-have. I don’t use it very often, but when I do, nothing else would work. And for tighter shots, the Canon TS-E 50mm f/2.8L Macro is a great option. Since I shoot with Sony, I use an adapter to put Canon lenses on my Sony camera. My choice is the Metabones Canon EF to Sony E Mount T Smart Adapter (Mark V). It’s a little pricey but works great. Since tilt-shift lenses are prime, it can be useful to have an extender to get a tighter shot. An extender goes between your lens and your camera and makes the focal length longer. If you’re using Canon lenses, the Canon Extender EF 1.4X III is a great option. For Nikon, check out the Nikon AF-S Teleconverter TC-14E III. There are a million tripods out there and what matters is that you get one that is steady and that works for you. I personally love Induro and would recommend the CLT204 Stealth Carbon Fiber Tripod. I have two of those and they’re fantastic. Carbon fiber is more expensive but it’s light and sturdy. For the tripod head, you could go with a classic ball head and be fine. But I would recommend a geared head, which will make your life so much easier. With architectural photography, you need minor adjustments to line up elements and make your composition perfect. A geared head will help a lot. If you’re on a budget (like me), go with the Manfrotto XPRO 3-Way, Geared Pan-and-Tilt Head. If you have more money, then go all in with Arca-Swiss C1 Cube Geared Head. Seeing the images on the back of the camera isn’t always ideal. Your clients might want to see them on a larger screen, or you might not be able to look at the back of the camera from where you are. That’s where you want to use tethering. The simplest way to do this is to use a cable to tether your camera to your laptop. Most cameras can do that, you just need to get a cable and the software from your camera company. Lightroom can do that too. For more information, check out this Free Guide on Tethering by Richard Harrington. Sometimes, being tethered to your camera with a cable isn’t practical. And a laptop might not be as practical as a tablet. That’s where wireless tethering comes in. The best solution out there is CamRanger. It’s a wireless device that you plug in your camera and allows you to control your camera from your iPad. As of now, it’s only for Nikon and Canon, but a new version is announced for 2019 with Sony and Fuji support. CamFi is an alternative that works with Nikon, Canon, and Sony. If you shoot interiors, especially residential and hospitality, lighting can be an important tool. It’s also expensive, so don’t rush to buy a whole set of lights right away. Start with renting and figure out which lights and accessories you like using. The main lights I use for interiors are strobes. You can definitely use any brand out there. I’ve been using Profoto lately, which has two great options: The Profoto D1, with cables and the battery-powered Profoto B1X. I recommend at least 500W strobes, so you don’t have to push your ISO too high. They come in 2-light packs or individually. If Profoto is too expensive, Elinchrom and Godox are good alternatives. While strobes are great for your main light, secondary lights can be very useful to light a specific piece of furniture, or a shower for example. Get the speedlights compatible with your brand, the higher the power, the better. For Sony, I recommend the Sony HVL-F43M and the Sony HVL-F60M. A recent product I haven’t tested but has received great reviews is the Profoto A1. Any stands will do. I recommend you get one that’s at least 9-12 feet tall, it’s useful for big rooms. Manfrotto has some great options. For both strobes and speedlights, I usually use umbrellas. Any will do, really. I think 45″ is a good size and I use the Westcott White Satin Umbrella with Removable Black Cover. On my speedlights, I sometimes need other modifiers for handholding, like a softbox. I use the Honl strap system, which has a multitude of light modifiers. They have a great starter kit with straps and modifiers. Gels are really important for interiors, as they help you have the same white balance. I use CTO filters that I tape to my strobes. For my speedlights, Honl has a great kit of color-correction filters. Of course, you need to be able to trigger your lights. If you’re only using strobes, you might be able to use the trigger from your lighting brand (Profoto Air Remote for example). However, for cheaper brands and if you also are using speedlights, you need another solution. PocketWizard triggers are easy to use and work with virtually everything. I use the PocketWizard PlusX Transceiver. If you’re lighting is very complex, go with the PocketWizard Plus III Transceiver. It’s also useful to have a number of accessories with you, to be ready for anything that can happen on location. I don’t have specific recommendations for those accessories, as literally, any brand will work. But consider having some of those with you on shoots. If you’re shooting interiors and need to hide the light coming into the room or on a specific part of the room, it’s useful to have a black cloth, reflectors and some clamps. When you’re using lighting, there’s a lot that can go wrong. Have some extension cables in case you can’t find a socket nearby. Some lightbulbs can be handy if you need to change a burned bulb or if the white balance is too crazy. Batteries!! Have a portable USB charger for your phone/tablet/computer and some rechargeable batteries for your other devices. Polarizers can be useful to cut down reflections. Have the right filters for your lenses.